Help! Please! I just looked at my "Notes" app on my iPad running iOS 12, and one of my notes has vanished and I think I deleted it mistakenly. It's about a year's worth of work. Can you retrieve the deleted notes from iPad? Is there any way I can? This question I came across on Apple Communities is not rare. Besides, accidentally deleting Notes on the iPad is not uncommon. Notes may contain important information, which is why it can be terribly inconvenient when we lose the notes. Retrieving the missing notes is however not impossible. This article will provide you with four potential solutions even you are using iOS 12. Step 1. Open the Notes app on your iPad, and go to the folder screen by tapping on the Back arrow. Step 2. Tap on the Recently Deleted folder, select Edit, and press on the note you want to recover to select. Step 3. 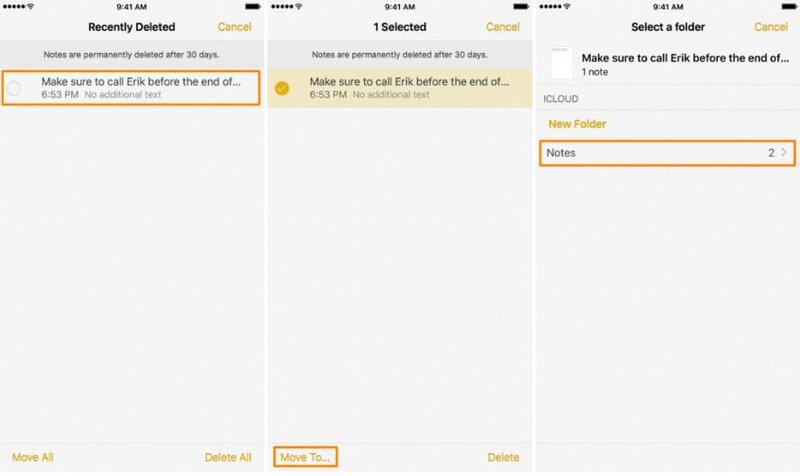 Tap on Move To button, then choose the Notes folder, and you will see the deleted note has been retrieved to the Notes folder. If you have associated your Notes app with your email account, the notes may have synced with your email. Follow these simple steps to check. Step 1. Log in your email account on the web and check whether the notes are accessible from the account's Web interface. Step 2. 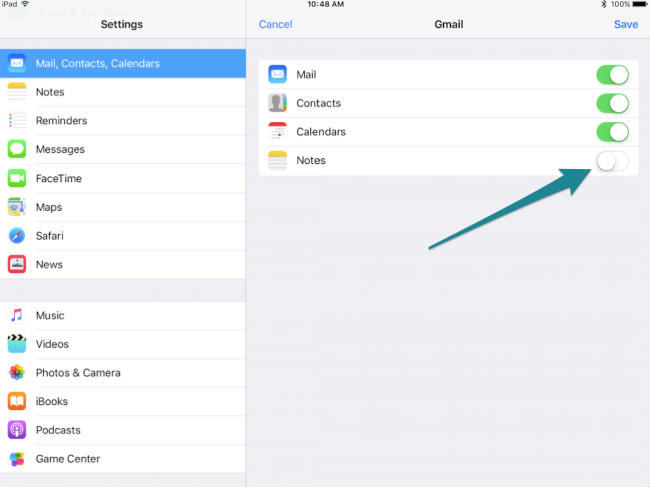 If you find your notes, go to iPad Setting - Mail, Contacts, Calendars. Select the exact email account, and then toggle the Notes setting to On. Step 3. If the Notes is already on under the email account, just turn it off and then turn it back on to re-sync the notes. Your notes should be back on your iPad again. If you didn't sync your notes with email account but you have iTunes/iCloud backup of the deleted notes, you can try the third method to retrieve notes on iPad. 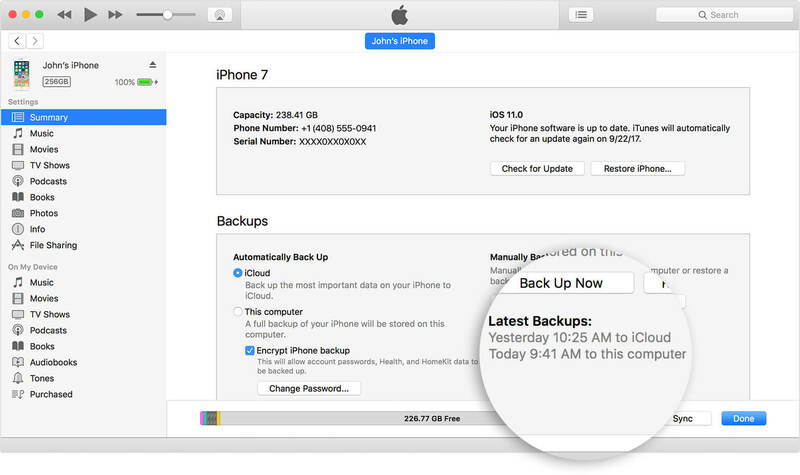 If you have ever backed up your iPad on iCloud or iTunes, you may try restoring your notes from either backup. But before restore, you should check whether your deleted notes have been successfully backed up on iCloud or iTunes before. Step 1. If you are using iOS 10.3 or later, go to Settings > Your Name > iCloud. Tap on Manage Storage > Backup on iOS 11, and tap on iCloud Storage on iOS 10.3. If you are using iOS 10.2 or earlier,go to Settings > iCloud > Storage > Manage. Step 2. Tap on the device name, and check the date of the last backup. 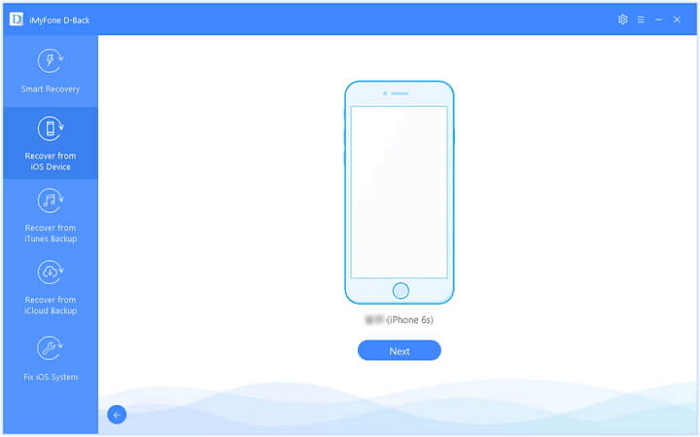 After that, you may restore your data from iCloud backup. If you have an iTunes backup, you may go to the summary page of iTunes, and check the latest backup time, and then restore your iPad from a backup to retrieve deleted iPad notes. 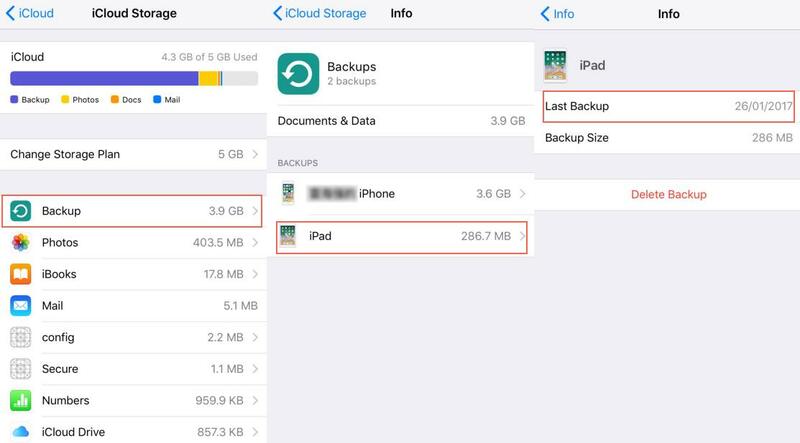 All the current data on your iPad will be replaced when you choose to restore an iTunes or iCloud backup file. So be careful before you use the method. 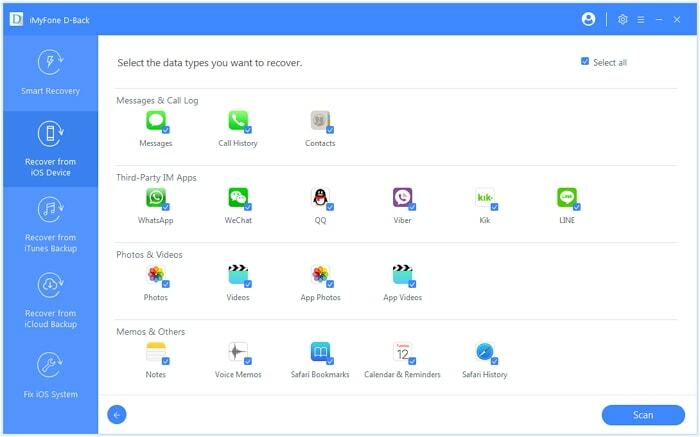 If you only want to restore the data of some apps from iTunes or iCloud backup, such as Contacts, WhatsApp, Messages, and WeChat, you can use the tool iMyFone iTransor (iOS 12 supported)to restore the apps selectively instead of whole the data in the backup. This program will also merge the data you are trying to restore from your backup with the corresponding app data on your device. If you do not have an iTunes/iCloud backup file, you can still manage to recover your lost notes with third-party tools. 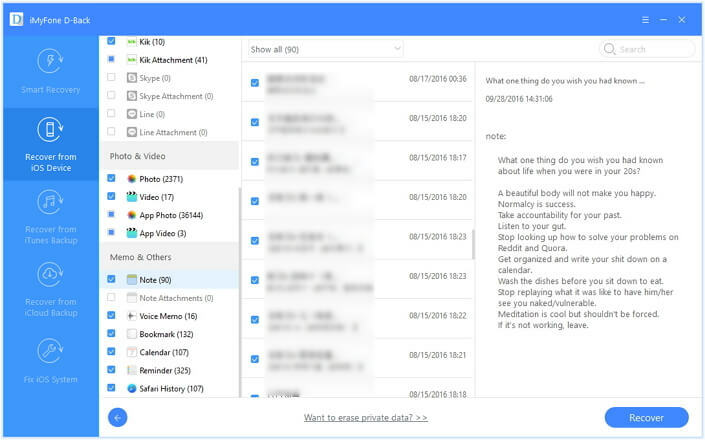 iMyFone D-Back is one of such tools that are capable of finding back the deleted notes on iPad easily without the backup file. Meanwhile, even if you have iTunes/iCloud backup files, this tool also provides users a better approach than iTunes or iCloud in which they can preview deleted notes on their iTunes/iCloud backup and extract them selectively. Read on to learn how to get back your notes on iPad back without using backup files. Step 1. Run iMyFone D-Back on your computer. From Recover from iOS Device tab, click Start to proceed. Connect your iPad with your computer and wait for the program to recognize it. Then click Next. Step 2. Choose Note from the list and then click Scan. Then the program D-Back will start to scan your iPad for the deleted or missing notes. Step 3. 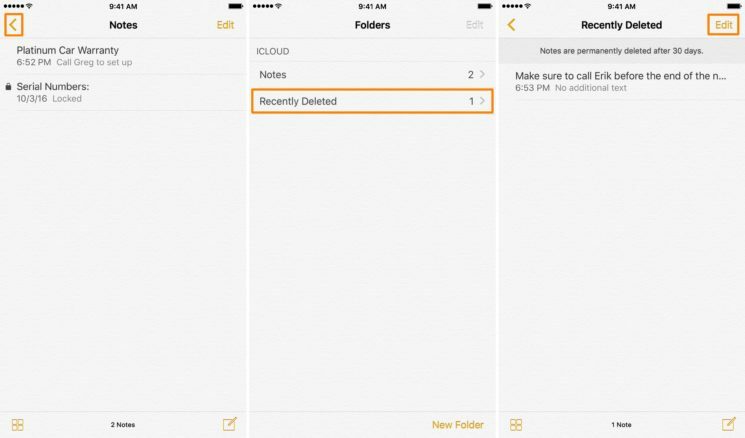 After a few minutes' scanning, iMyFone D-Back will find and list all the recoverable notes, including the deleted or missing ones on your iPad for your preview. You can check the specific content of these notes. After you check all the notes you need, click on "Recover" button to get back these notes. If you want to retrieve notes from backup, other two recovery modes are also easy to follow with similar steps. One of the three methods above should help you easily recover deleted notes on your iPad. 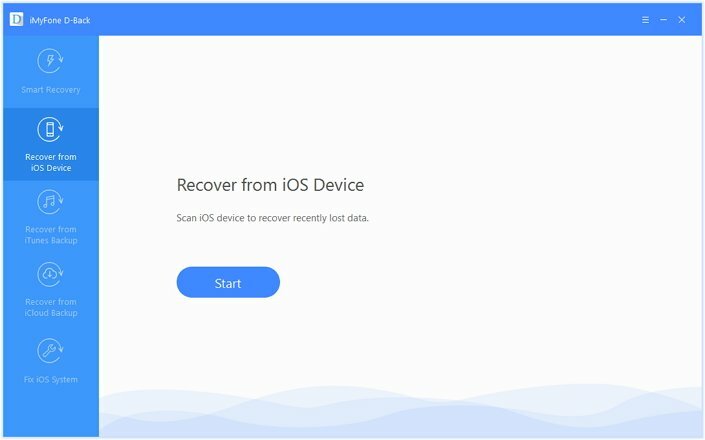 iMyFone D-Back for Mac version iPad data recovery/iMyFone D-Back for Windows version iPad data recovery (compatible with iOS 12) offers a free trial version. Just download and try it. This article has introduced four ways to recover deleted notes on your iPad Air/mini/Pro. 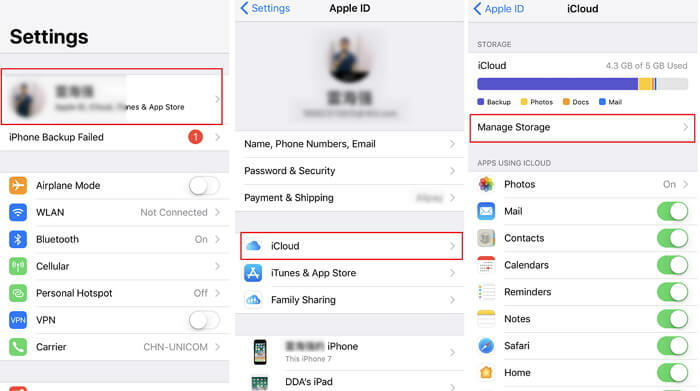 Even if your notes have been permanently deleted from your device, and you do not have iTunes or iCloud backup to retrieve them back, you still have iMyFone D-Back to help you out. It can get your lost notes back from iPad/iPhone (even it is running iOS 12) with or without any backup files. I used the free trial version, but it cannot find my notes which were deleted three weeks ago. What am I doing wrong? Please advice. Have you turned off your iPhone after deleting these notes, Rogers? If so, I’m afraid that your deleted notes have been overwritten. Anyway, you can try one more time to scan your iPhone and confirm whether your notes can be found.